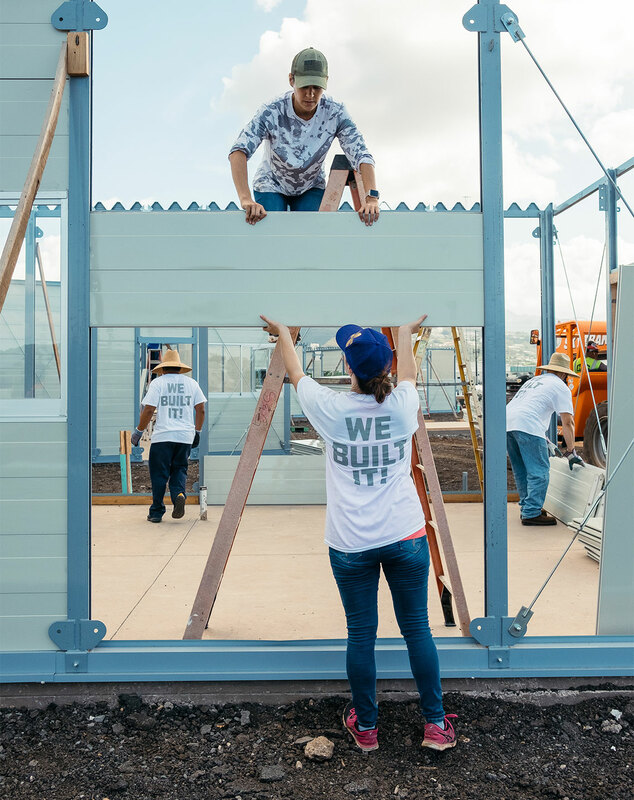 Inspired by the plantation lifestyle of Hawaii’s past, local business leader Duane Kurisu spearheaded an innovative housing project to address the urgent issue of homelessness. Kahauiki Village brought city and state agencies and local businesses together to provide the materials and resources needed to bring the vision to life. In January 2018, Kahauiki Village welcomed its first residents. Kahauiki Village is the first public-private partnership of its kind in the nation. 620 adults and residents will call the village home. The project will provide affordable, community-centered housing for approximately half of the state’s homeless population. Public and private sector partnerships are crucial to the success of our groundbreaking initiative. We need to raise visibility to gain broad support from businesses and the community. 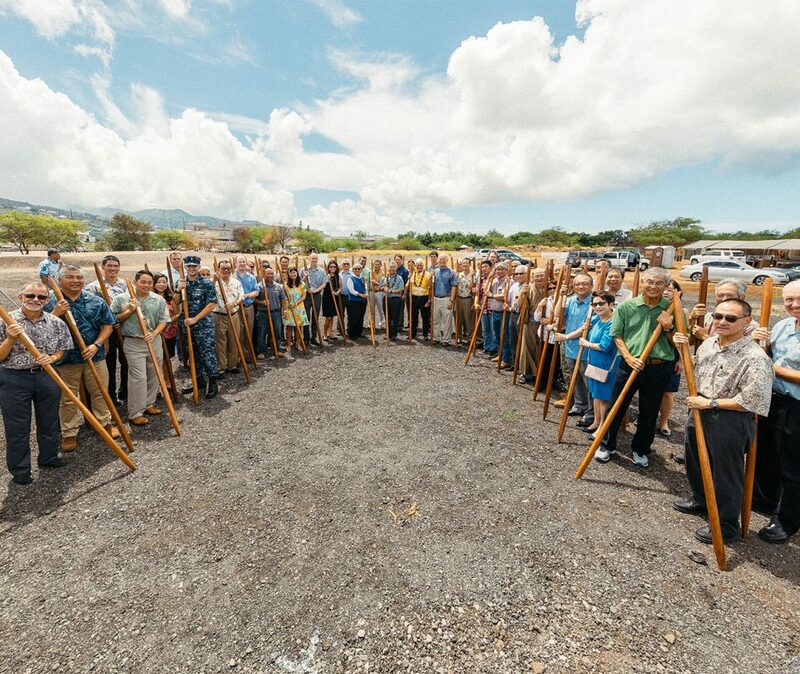 Kahauiki Village’s groundbreaking ceremony represented an unprecedented first step in the fight to end homelessness in Hawaii. From the very beginning, community engagement was key to the success of Kahauiki Village. The project relied on the generosity and partnership of government agencies and local businesses to build Kahauiki Village from the ground up. iQ 360 held a series of events attended by Governor David Ige, Honolulu Mayor Kirk Caldwell, local dignitaries and business leaders at key points during the project. From the initial announcement and groundbreaking in July 2017 to move-in day for the first families in January 2018, each event was leveraged to conduct media outreach and share new angles on the project’s rapid progress, innovative approach and unprecedented partnerships. iQ 360 worked closely with Kahauiki Village founder Duane Kurisu to develop key messages that highlighted the project’s ability to engage the public and private sector, and emphasized the ongoing work that must continue in order to address the pervasive issue of homelessness in Hawaii. Media outreach resulted in dozens of positive stories from every major local outlet, including live-remote TV segments on move-in day; several feature articles and a positive editorial in the Honolulu Star-Advertiser that praised the private sector for “stepping up”; and an Associated Press article covering the project’s launch. 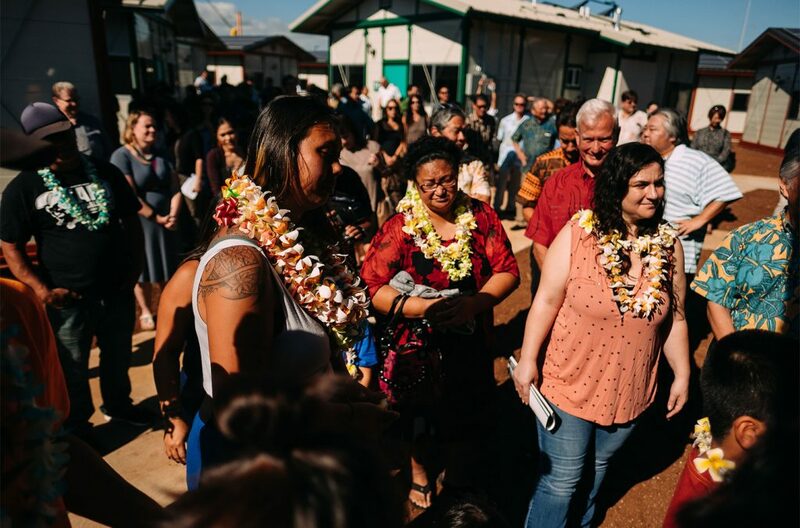 Residents, government officials and the media showed up for an emotional move-in day that welcomed Kahauiki Village’s first families. Kahauiki Village gained widespread support from the public and private sector as well as community volunteers.